Sparrows Group has secured a 5-year contract to deliver hydraulic, lifting and rigging services for Maersk Oil’s UK floating assets. 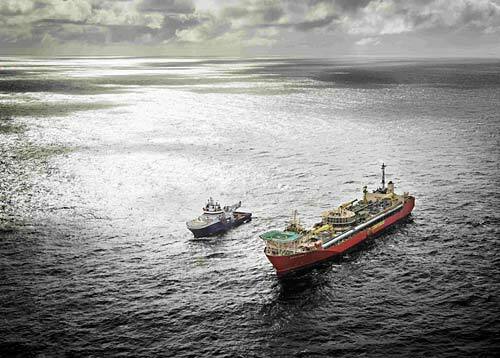 The agreement will see Sparrows support the operator in strengthening its lifting operations for the Global Producer 3 (GP3) and Gryphon FPSO’s and the new Culzean FSO. The scope encompasses hydraulic services including maintenance, repair and parts and materials procurement; as well as the supply, management and certification of all lifting gear. Additional mechanical engineering services, including failure modes, effects and criticality analysis (FMECA) studies; finite element analysis; the design and build of structural and mechanical assemblies and small pressure vessels; reverse engineering and fabrication; and Lifting Operations and Lifting Equipment Regulations (LOLER) inspections, are also included. Stewart Mitchell, chief executive officer of Sparrows, says, “The award of this important contract confirms our reputation as a world-class provider of reliable and cost-effective hydraulic, lifting and rigging solutions. “We look forward to collaborating with Maersk to support their existing operations across the North Sea as well as Culzean. As the largest discovery in the UKCS since 2004, we are delighted to be involved in helping ensure safe and efficient production from this strategically important development,” Mitchell continues. The Culzean gas condensate field has resources estimated at 250-300 million barrels of oil equivalent. Located in the Central North Sea, the high pressure, high temperature field is expected to start in 2019 and produce enough gas to meet 5% of total UK demand at peak production in 2020/21.